Want to treat yourself to something enjoyable and highly practical? 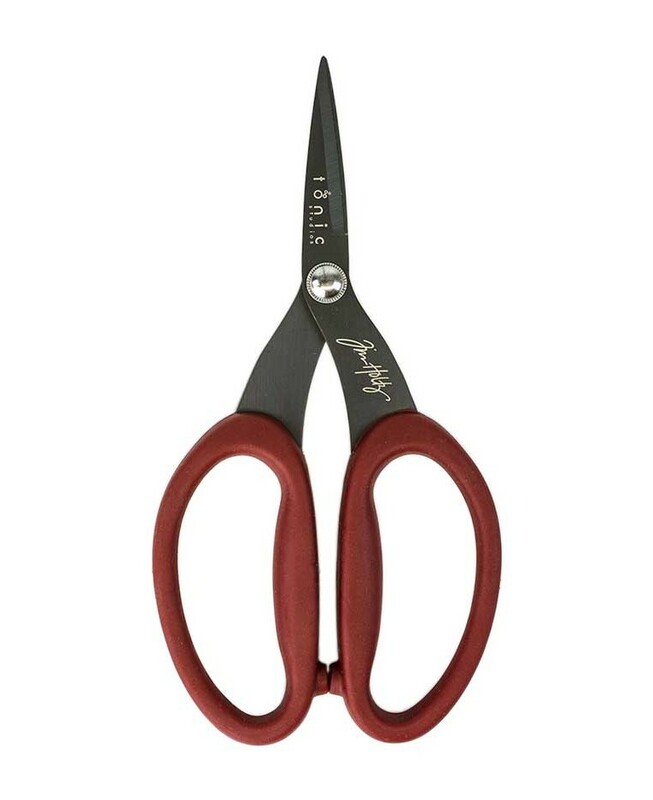 These scissors are the best! Tim Holtz collaborated with Tonic Studios to create this gem of a tool. The nonstick coating minimizes adhesive build-up, and the extra large Kushgrip handles are very comfortable. Excellent on all types of material, including rubber, vinyl, ribbon, and adhesive-backed papers. 7" scissors come complete with a protective cap for safe transport and storage.